We can say that forgetting becomes kind of human ability. People can forget about many things very easily. However, it will be bad if people forget about important things in their life. It will also be very bad if they even forget about important person in their life. As the time goes by, the brain ability can reduce due to the age aspect. 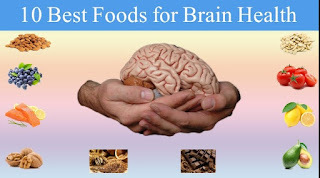 In fact, there is way to keep it sharp by consuming the brain foods. Here are some foods which can be great for brain. There is no need to get super foods with super expensive price to keep the brain sharp because people can get the brain foods from eggplant which is easy to find. It comes with high content of antioxidant named anthocyanins and it is proven to help people with memory loss. People can try to enjoy the grilled eggplant which is seasoned with olive oil, rosemary, and garlic on the toast. Other methods for serving eggplant can be tried including steaming, broiling, and even microwaving can be a healthy alternative for baked eggplant. Who loves chocolate? We can make sure that there are many people who have a great love for this ingredient and it will be a great choice for brain foods. However, people should choose the chocolate product wisely. It is recommended for people to consume modest portion of dark chocolate and they will get the benefit for boosting the brain. Dark chocolate has high content of flavonols which are useful for improving the blood vessel function of brain. To get the most benefits of flavonols, it is better for people to get the darkest chocolate available with at least 70% of cacao. There are some foods which can be included in the cruciferous vegetables such as cabbage, Brussels sprouts, cauliflower, and broccoli. Those vegetables come with high amount of sulfur containing compounds which can be useful for protecting the brain from the oxidative stress which can be found in daily life. Broccoli for instance becomes a great source for vitamin C which is antioxidant useful for brain and also beta carotene which is important for brain function. The cruciferous vegetables are also useful for reducing the stroke risk. It is better to consume the cruciferous vegetables correctly by eating it raw, grilled with a little olive oil, or lightly steamed. Overcooking those vegetables must be avoided because it can lower the amount of nutrient within.